Ciao lovelies! 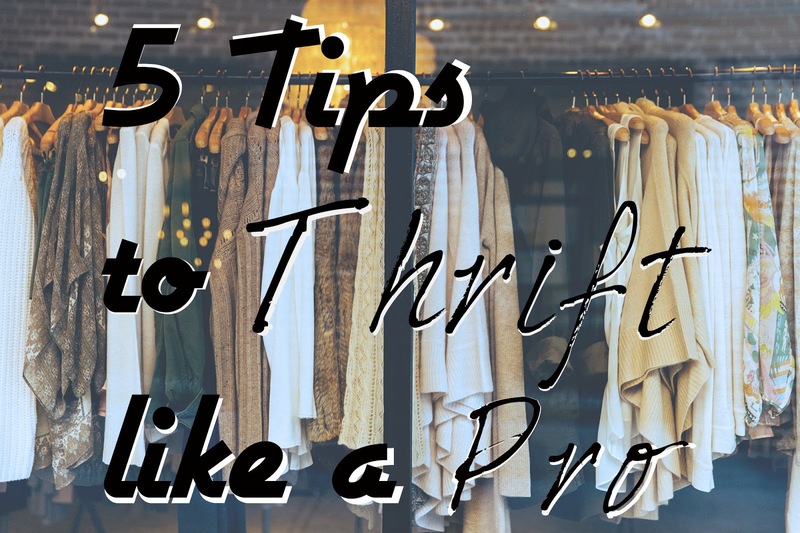 Today, myself and my boyfriend (pen name Rakuana) are going to give you our very best top 5 thrifting tips to thrift like a pro! 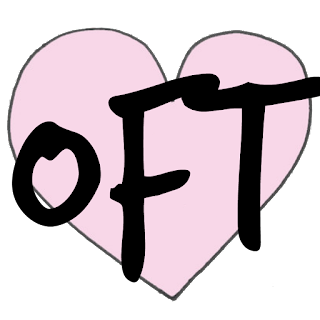 So as you may be well aware, thrifting has become a huge trend. It used to be kind of stigmatized to get stuff there, but now all the “cool kids” are doing it. Myself and Rakuana started to get supplies for cosplay, but I gradually started getting other stuff there and as did he. We’ve been thrift shopping collectively for 6 years. So here are our very best tips on how to get the best deals! 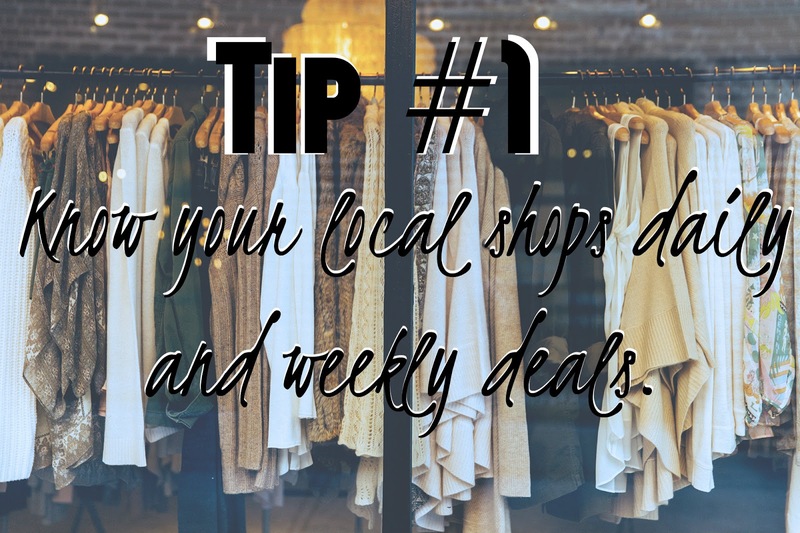 So, knowing your local deals is very important to get the best stuff for the best prices. Certain Goodwills will have “Color of the week” and everything that has that color label or tag is 50% during that color week. Also, our local CHKD has discounts based on the day. Military Mondays, etc. Knowing if your local shops have deals is a great way to base what days you’ll go. Also, you can sometimes find stuff you might not want at full price, but would buy at that deal. 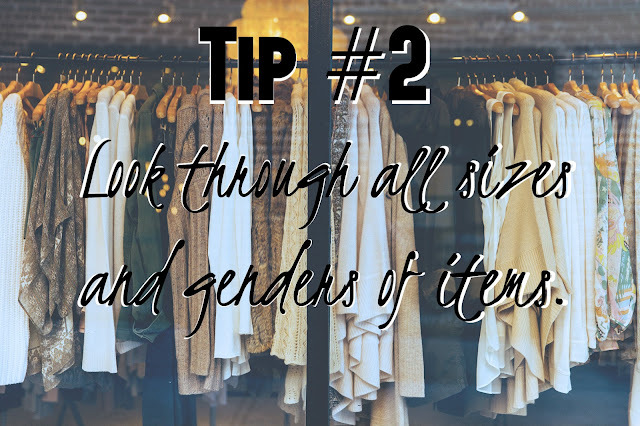 Looking through everything, not just your own size/gender is a good shopping tip in general. Sometimes people will put stuff back in the wrong place. It happens all the time. Sometimes, a cute/awesome item is hiding among stuff you wouldn’t normally look through! Hey everyone, Rakuana tagging in here. You want to check to make sure everything that you buy is in the right condition. Most thrift stores are no return or refund, so if you buy a movie and the disc isn’t in there, or its badly scratched, you are out of luck. I always check to make sure the right disc is there and I tilt the disc, so I can see if there are any bad scratches. This also applies to electronics, you gotta be careful. These are there for a reason, they most likely don’t work perfectly. Check for any obvious defects, breaks, etc.. Same applies to clothes though I know less about that. Probably watch out for stains and such. Okay back to Lunaria. Don’t ever walk into a thrift store knowing EXACTLY what you want. Seriously. A general idea is fine: “Well I need to buy a skirt” or “I need a black dress” are both acceptable thoughts to have when walking into a thrift store, but don’t get too specific. Part of thrift shopping is knowing that you can adapt the things you find. I suggest learning some light sewing skills/clothing altering skills. Sometimes you can thrift a great top for less than a dollar, and turn it into something that looks designer with just a little TLC and time. Not to mention framing. Wearing a thrifted piece with other amazing looking pieces will always make it look nicer. The point is, don’t be narrow minded. Always think of every possibility for each item. Thrift shopping is not just a five minute errand. It requires a lot of time. Since you always want to search every section pretty meticulously, it can take a very long time in each store. And if you hit multiple stores in a day, well, clear your schedule. 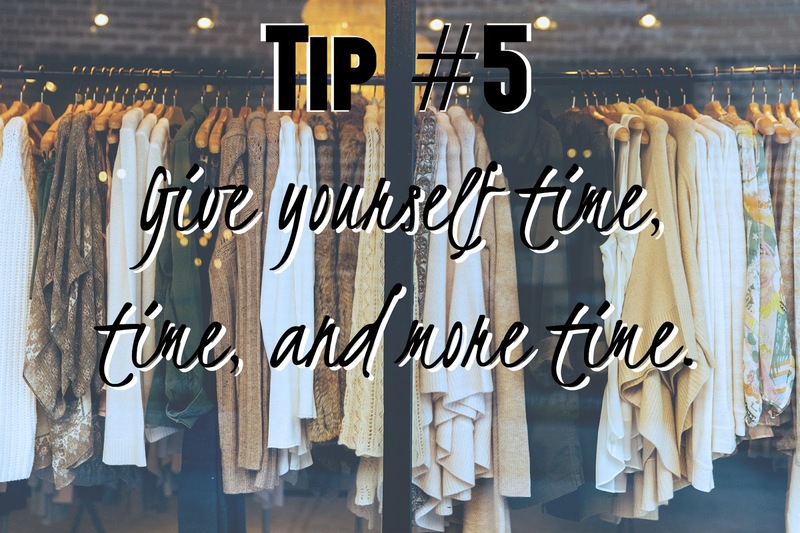 To get the very best items each time you go thrifting, leave yourself plenty of time to peruse the clothes and items and think about them. What are your very best thrifting tips? What’s your best find at a thrift shop? Let us know! Or, tag us in your thrifting pics on Instagram using #OFTreaders or tag @onlyfunthingsblog ! Please take a moment to follow us on Bloglovin or Facebook for daily updates, content, behind the scenes, and more! Thank you for reading! Stay lovely! 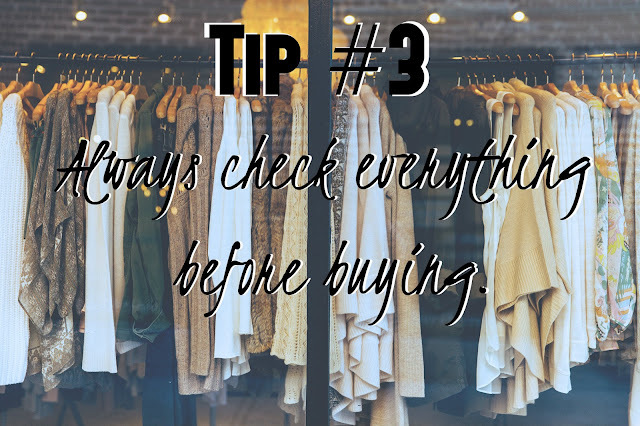 Checking everything before buying is important especially when your excited only to go home and see that what you bought is torn or worse. Great tips.